Sometimes we see something that makes us chuckle a bit. This is one such scene that made me laugh, but I understood fully why the road sign had been placed where it was. 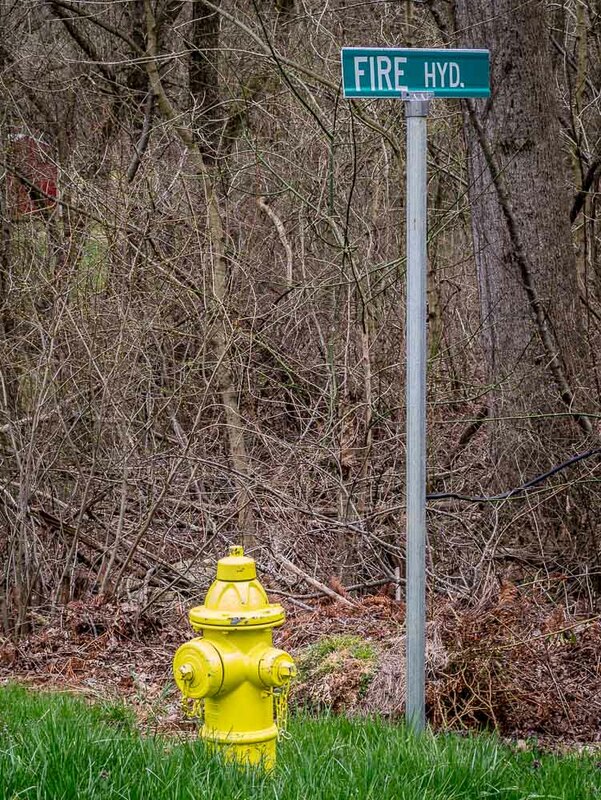 This hydrant is located next to a wooded area in our neighborhood and up until this year the hydrant had been partially covered with yard clippings and debris placed there by those living nearby. County officials apparently decided that by marking the hydrant as they did with this street sign, that people would stop placing their yard debris in the area. It worked. An interesting photo if for no other reason being its uniqueness. Good story telling image, put a smile on my face.